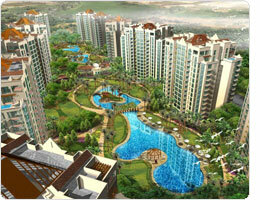 Creek Vistas Project was conceived to provide impetus to marginally inhabited and underdeveloped Phase-VIII. The prestigious project, only of its kind in Pakistan, was ventured by Defence Housing Authority to provide built-in incentives to end allottees in terms of value addition and quality living. 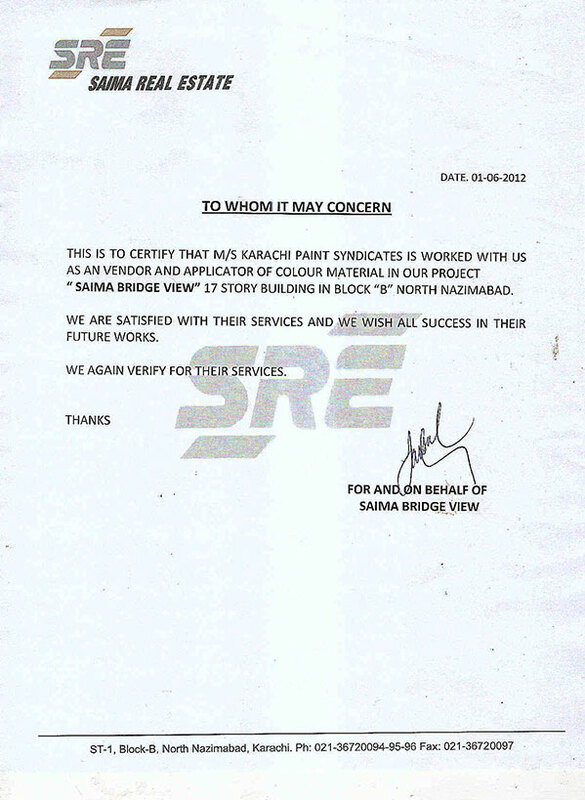 Associated Constructors Limited (ACL) Authorisation / Appreciation Letter. The Saima Bridge View project is located at the centre of North Nazimabad, Karachi. The architecture and interiors of this exceptional project reflect the expression and cultural heritage class by itself. 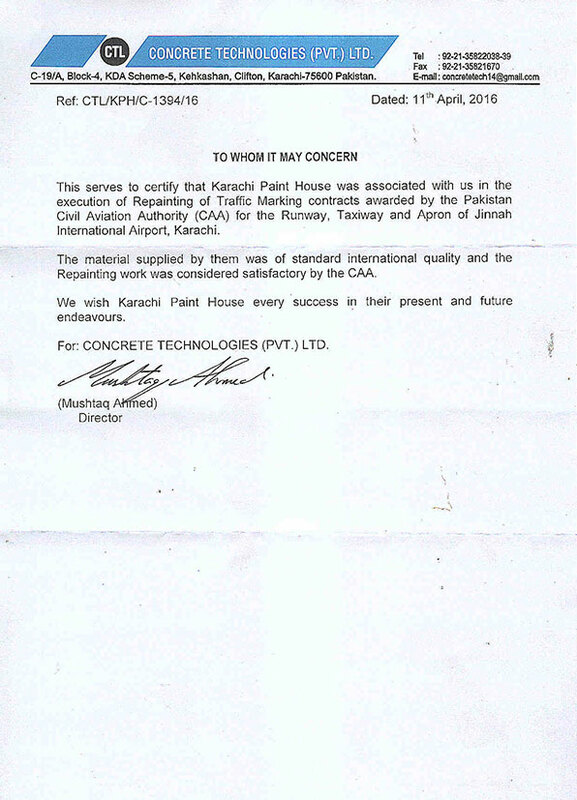 Saima Real Estate (SRE) Authorisation / Appreciation Letter. Civil Aviation Authority (CAA) is the public corporation which oversees and regulates all aspects of aviation in Pakistan. Nearly all the civilian airports in Pakistan are managed by the CAA. 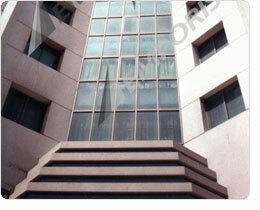 The head office of the agency is located in Terminal 1 of Jinnah International Airport in Karachi. Concrete Technologies (Pvt.) Ltd. (CTL) Authorisation / Appreciation Letter. Saima Mall & Residency is completed, internal finishing being done right now in apartments..., have many shops opened now and is quite spacious.. in all a nice mall for karachiites. 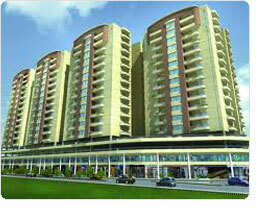 The Belle View Towers, located at Garden East, Karachi is also the part of Saima Builders. It's elegant from outside, and spacious from inside. Every care has been taken to ensure maximum utilization of space within the covered area, so that you have a dream home that is simply timeless. Saima Serena Towers is a project where you can live and enjoy the comfortable and peaceful living ....... today You have a choice of cosy studio type one-bed; spacious one-bedroom units; and large two-bedroom apartments with multiple layout options, to suit your very own personal need. 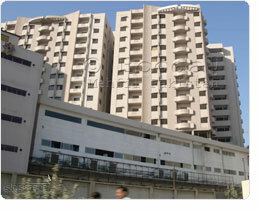 Serena Towers is designed for optimum comfort and a stylish lifestyle. It's elegant from outside. And spacious from inside. Every care has been taken to ensure maximum utilization of space within the covered area, so that you have a dream home that is simply timeless. 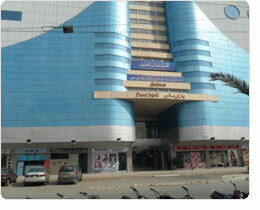 Saima Trade Towers is situated at I. I. Chundirgar Road, the business hub of Karachi, Pakistan. It is the headquarters of many multinational companies. 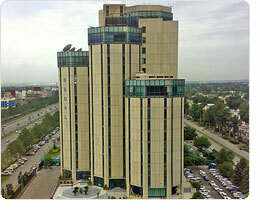 It is one the tallest building in Pakistan. It is about 82m tall and contains 19 floors and 1 basement. 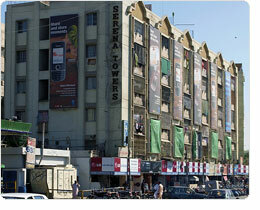 Saima Paari Tower 4 and 5 Rooms Executive Apartments and Ultra Modern Showrooms Just Opposite Hyderi Market. Pakistan Air Force (PAF) is the lead air warfare service branch of the Pakistani Armed Forces and is primarily tasked with the aerial defence of Pakistan with a secondary role to provide air support to the Pakistan Army and the Pakistan Navy. 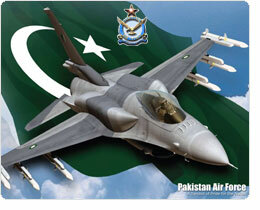 The PAF also has a tertiary role to provide strategic air transport and logistics capability to Pakistan. 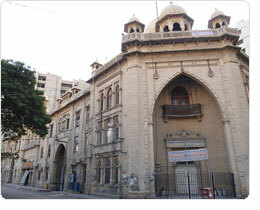 The Aga Khan University Hospital, Karachi (AKUH) was established in 1985 as the primary teaching site of the Aga Khan University's (AKU) Faculty of Health Sciences. Founded by His Highness the Aga Khan, the hospital provides a broad range of secondary and tertiary care, including diagnosis of disease and team management of patient care. The hospital's multidisciplinary approach to diagnosis and care ensures a continuum of safe and high quality care for patients - with all services under one roof. 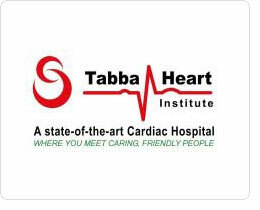 Tabba Heart Institute was established in the year 2005 with the aim to provide quality services and compassionate care at an affordable cost. With the core objective to promote excellence in the field of cardiac health with an uncompromising attitude, THI is equipped with state-of-the-art equipments, harnessed by professionals with a proven track record. With a commitment to provide quality care, we believe that a caring and serene environment is vital and serves as a catalyst in the healing and recovery process of the patient. 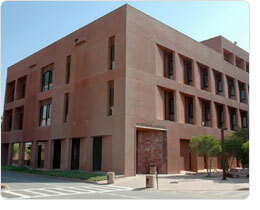 The modern architecture of the building reflects a passion and commitment to this caring endeavour. The aesthetically pleasing architecture with special emphasis on the horticultural scheme allows for a soothing environment, resulting in a sensory experience that aids recovery. The main Gizri Bazaar was a sore point for traffic congestion and heavy jams due to all types of vehicles parked on the main Gizri road in front of the shops. To ease the DHA residents, DHA undertook the mega project of construction of Gizri Flyover. 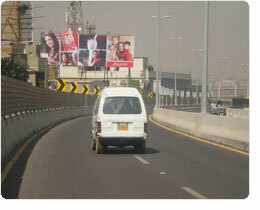 The Flyover now facilitates the flow of traffic coming into and moving out of DHA through Gizri commercial area. Karachi Port Trust (KPT) is a Pakistani federal government agency that oversees the operations of the Port of Karachi in Karachi, Sindh, Pakistan. The Karachi Chamber of Commerce & Industry, (KCCI) was established in 1959 and since then it has been serving the economy of Pakistan and has continuously contributed to its development and progress. The KCCI always tries to support and serve the private companies and help it to solve its problems. Karachi International Container Terminal (KICT), Pakistan's leading container terminal operator, has been in operation since 1998. 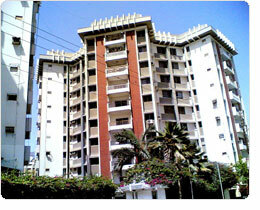 It is located within the Port of Karachi, a natural deepwater harbour west of the Indus Delta on the Arabian Sea. 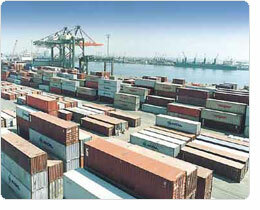 The facility has five berths equipped with modern container-handling equipment. 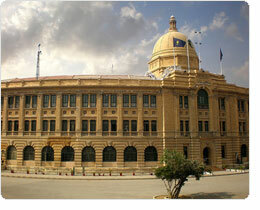 The Karachi Expo Centre is located in Gulshan-e-Iqbal Town, Karachi, Pakistan. 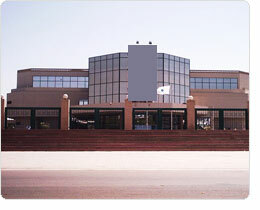 The Expo Centre is equipped with modern facilities based on international standards creating a market. 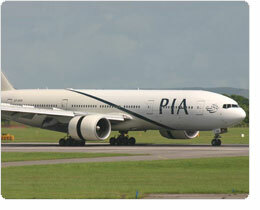 Pakistan International Airlines Corporation, commonly known as PIA, is the flag carrier airline of Pakistan. 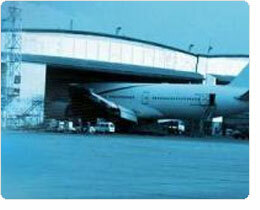 The airline, with its head office on the grounds of Jinnah International Airport in Karachi, is one of the most recognisable airlines in Asia and operates scheduled services to 24 domestic destinations and 39 international destinations in 25 countries across Asia, Europe and North America. Its main bases are at Karachi, Lahore and Islamabad/Rawalpindi. PIA has been ranked as a 3-star airline by Skytrax, the world's official airline and airport reviewer. 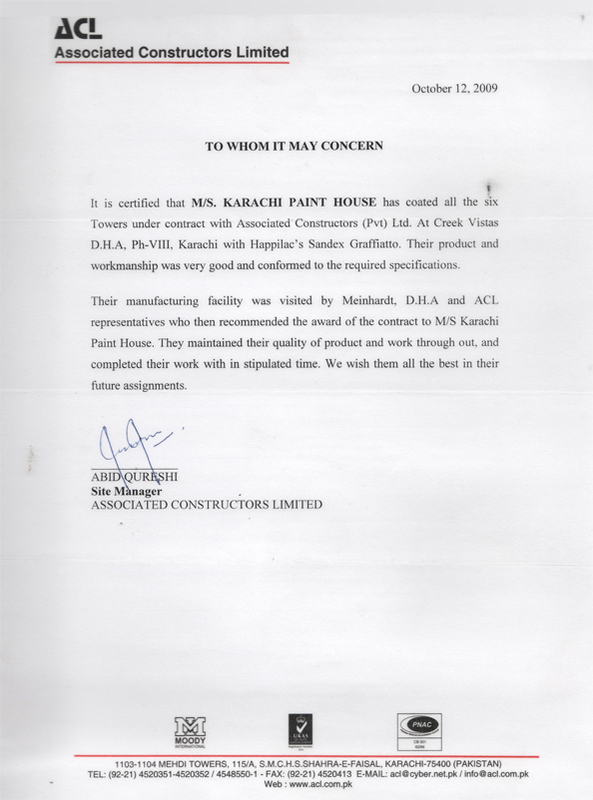 The Karachi Shipyard & Engineering Works Limited (KSEW), is Situated at West Wharf in Karachi, Sindh, Pakistan. Submarine/Warship Construction and Heavy/General Engineering requirements. KSEW was established in early 1950's as a project of PIDC. It was incorporated as a public limited company in 1957. 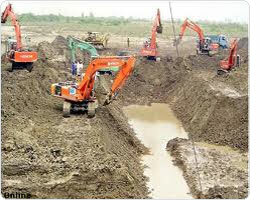 The shipyard spread over an area of 29 hectares (71 acres). KSEW has a large Ship Building Hall, three Ship Building Berths, two Dry Docks, three Foundries (Iron, Steel & Non-Ferrous), Fabrication Shops, one machine shop and other supporting facilities like Carpentry, Pipe Fitting and Light Steel Fabrication Shop. KSEW is working as an autonomous commercial organization under the Ministry of Defence, Government of Pakistan. 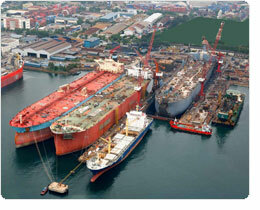 Karachi Shipyard is the only shipbuilding company in Pakistan. 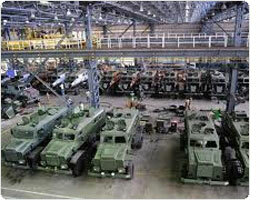 It has built numerous cargo ships, tugboats and support vessels, naval vessels and submarines. Frontier Works Organisation (also known as FWO) is a construction and military engineering administrative branch of the Pakistani Army that was created in 1966. It is the part of the Pakistan Army Corps of Engineers and it has credited to build numerous bridges, roads, tunnels, airfields and dams in Pakistan. A popularly known unit, the FWO has credited to design and constructed the Karakoram Highway as well as building numerous civil and military infrastructure for the Government of Pakistan and the Pakistani Armed Forces. Pakistan Ordnance Factories (POF) was founded in 1951 with the primary objective of producing arms and ammunition for the armed forces of Pakistan. POF was given the responsibility of running the factories on sound commercial lines and utilizing any spare production capacity for meeting requirements of the civil sector and exports. Oil and Gas Development Company Limited (OGDCL) is a state corporation of Pakistan. It was established in 1961 to prospect, refine and sell oil and gas in Pakistan. By 1966, OGDCL had emerged as the dominant prospector in Pakistan with several significant discoveries in the Indus Basin. In 1997, OGDCL was converted into a public limited company. On May 4th, 2006 the government of Pakistan appointed a Citigroup-led consortium to advise the state-run Privatisation Commission on the sale of 10 to 15 per cent (or 430 to 645 million shares) of the company. OGDCL is the second Pakistani company to have been listed at the London Stock Exchange. 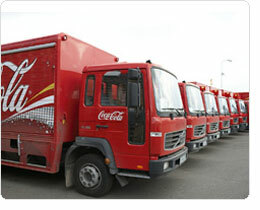 Coca Cola Beverages Pakistan Ltd.
A global leader in the beverage industry, the Coca-Cola company offers hundreds of brands, including soft drinks, fruit juices, sports drinks and others.